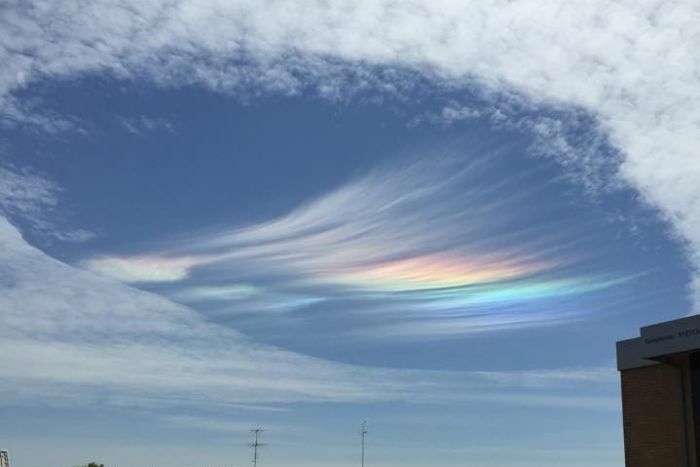 Fluffy, streaky, wispy, marshmallow-like clouds can be a pretty spectacular sight sometimes, but this particular formation really takes the biscuit. It may look too perfect to be real, but these images aren’t fakes. They were snapped around 1:00pm on Monday, November 3 in Victoria, Australia, by ABC News audience members. 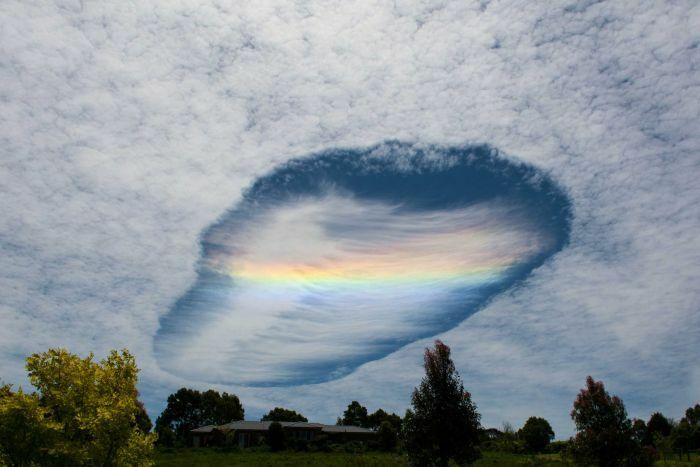 The photos show a rare cloud formation called a fallstreak hole, or a hole punch cloud. 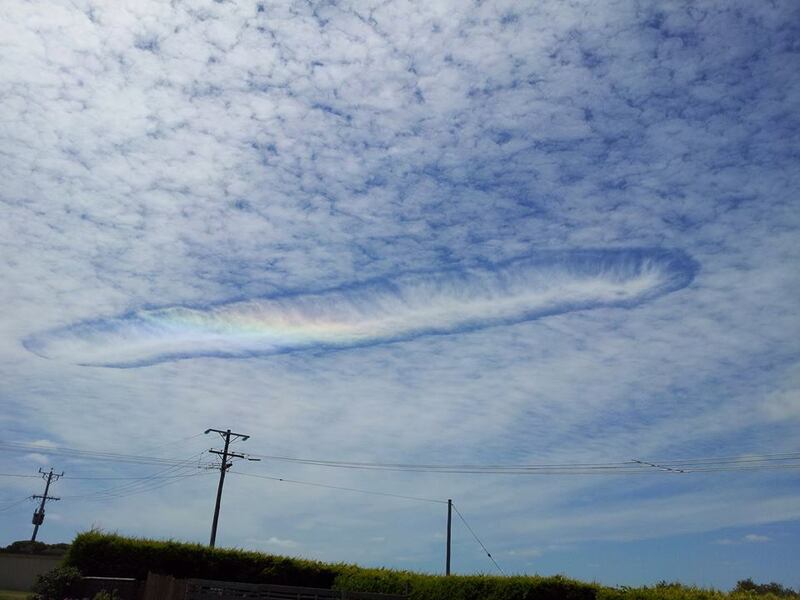 These are large gaps that can appear in certain types of cumulus clouds when water droplets rapidly freeze. The resulting ice crystals then continue to grow and when they become large enough, they start to fall, leaving behind an expanding hole. The pretty rainbow in the middle is the result of the ice crystals refracting the light.